Mrs. Margaret S. Crocker, age 77, of Rome, GA, passed away on Wednesday evening, January 16, 2019, in a local healthcare facility. Mrs. Crocker was born in Copperhill, TN, on July 29, 1941, a daughter of the late Otis Parr, Sr., and Florence Guy Parr. She had been a resident of Rome and Floyd County the greater part of her life and was a housewife and homemaker. Mrs. Crocker enjoyed fishing, playing crossword puzzles and bingo. Her Saturday evenings were spent watching different evangelists on television. In addition to her parents, Mrs. Crocker was preceded in death by her first husband, Frank Johnson, in 1978, and her second husband, Jerry Crocker, in 2011. Three brothers and a grandson also preceded her in death. Mrs. Crocker is survived by three daughters and son-in-law, Diane Johnson of Aragon, GA, Sandy Craig of Rome, and Patsy and Hector Jacobo, also of Rome; two sons, Frankie Johnson and Audie Johnson, both of Rome; brother, Donald Parr. Five grandchildren, nine great-grandchildren and several nieces and nephews also survive. Funeral services for Mrs. Crocker will be held on Saturday, January 19, 2019, at 12:00 noon in the chapel of Salmon Funeral Home with Rev. John Dorsey officiating. Interment will follow in the East View Cemetery. The family will receive friends on Saturday morning from 11:00 a.m. until the service hour. 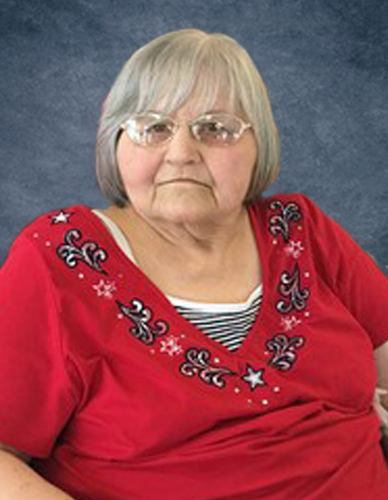 The staff of Salmon Funeral Home is honored to serve the family of Mrs. Margaret S. Crocker.